One of the UK’s most in-demand comics Carl Hutchinson is set to perform his brand new show across the UK. Expect killer gags, highly entertaining stories and the trademark twisted logic that has made Carl a must-see fixture in the comedy world, it’s fair to say that 'Hutchinson has it all' (BroadwayBaby). From tales of pulling sickies as a teacher to his family upbringing and wrestling with his favourite vices, this new show is easily the most brutally honest and hilariously self-deprecating outing for this Geordie comedian. 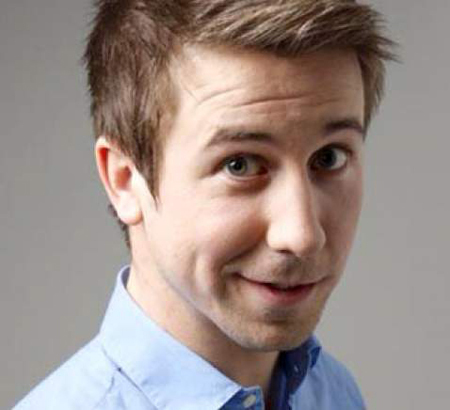 Carl has supported Chris Ramsey's tour and featured on Comedy Central's Stand Up Central & The Chris Ramsey Show. Theatre Club Members get discounted tickets to our shows and events plus pay no transaction or postage fees. Click on the button below to find out more about becoming a member and save today.